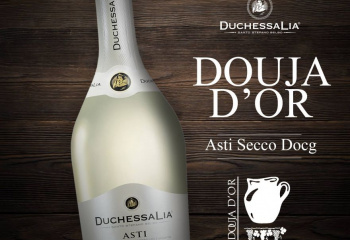 Duchessa Lia - Saint Valent…wine! Is there a better opportunity than Valentine’s Day to plan a romantic evening with a great bottle of wine? The atmosphere, the intimacy, the conviviality, the time simply shared together: indulge in the luxury of a romantic dinner at home with a wonderful glass. Because to share in the indulgence of a great wine is to be in the moment with the one you love most. Wine amplifies all experiences, a way to “ennoble” an occasion. 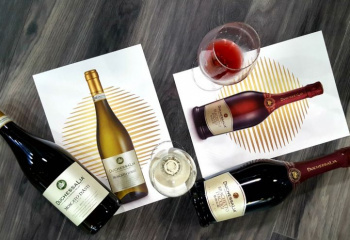 Duchessa Lia wishes you a happy Saint Valentine with a few wine pairings to #makeyourdaynoble. Cin cin! Fish and seafood are a delicious winter dinner. Try a Christmas recipe from the Italian shores, where the fruits of the sea always take centre stage. Fish and seafood are so great at this time of year because they store a lot of energy in preparation for the breeding season. For example, the scampi caught in February and March are much tastier than those caught in September. Begin with an amouse-bouche of raw seafood. You can bypass the high pricetag of oysters with Italian mussels and shrimp. Sicilian scampi from Mazara del Vallo eaten fresh, tuna tartar, raw anchiovies marinated in oil, salt, pepper and herbs, or sea urchins for the most daring. Sparkling wine is without a doubt the way to go with raw seafood. 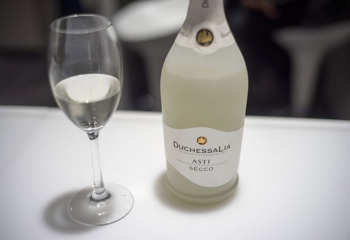 The Duchessa Lia Blanc de Blanc is a wonderful choice. The fine perlage, persistent bubbles and delicate flavours enhance the freshness of the seafood. With sea urchins, which are markedly salty, dare to contrast the flavours with Duchessa Lia Asti Secco DOCG. It is fresh and fragrant with a delicately floral dry finish. After you whet your appetite, it is time for the main course. Go for something fresh like linguine with scampi or the classic baked fish with roast potatoes. Just make sure to stick with what is in season: branzino, red mullet, and turbot. Whether you opt for scampi or a baked fish, a fragrant white wine is the best pairing. 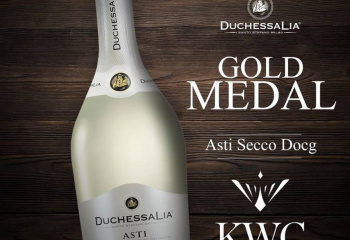 Try the Duchessa Lia Gavi DOCG. It is full-bodied and silky with an intense bouquet but a delicate freshness. Meat lovers know that Valentine’s Day is not a moment to skimp out. Choose the freshest meat, from a local butcher, so that you can safely eat it both raw and cooked. Just as with the fish, begin raw with Fassona beef tartar or Chianina beef carpaccio with an artichoke salad and grana padana shavings. 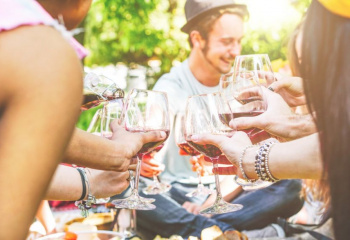 We recommend an aged and ready red wine, such as Duchessa Lia Grignolino d’Asti DOC, or a full-bodied sparkling wine, such as Duchessa Lia Pinot Spumante Brut. Continue with the theme of simplicity for maximum impact with a classic choice like bistecca alla Fiorentina or a rack of Frenched veal chops served with potatoes and spring onions. Grand meat dishes can only be paired with grand red wines, naturally. Therefore, without a doubt, go for Duchessa Lia Barolo DOCG for its complex structure and rich notes of spice. Or opt for Duchessa Lia Barbaresco DOCG for a punchy red wine that maintains its freshness.